The specialty of our company lies in the business of offering Cloud Pour Point Apparatus. We have huge stock of these apparatus available with us and these are fabricated from the best quality material sourced from our reliable vendors. These consist of the Pensky martens flash and fire point apparatus. 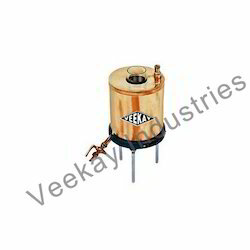 The entire model is heated with the help of the electricity and has energy regulator control. Our clients can avail these apparatus at reasonable prices. We are a prominent provider of Flash Fire Point Apparatus. 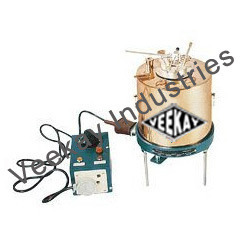 These apparatuses are used for demonstration of thermal conductivity by their measurement. Our range consists of the calibration meter, plastic and metal covering and high durability. 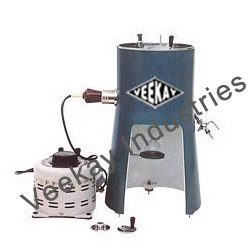 These apparatus are manufactured of the best quality material sourced from our certified and reliable vendors. To conclude, these apparatus would not only meet your requirements but would even go beyond them. We are creating niche in the field of offering Redwood Viscometer and we are looking for new opportunities in this domain. These are used for the purpose of measuring the viscosity of the liquids. The special points of attraction of these viscometers are consistent performance, precise engineering, reliability and smooth finish. These are among the best known instruments used in the industry. Apart from this, these are available at leading market prices. Looking for Petroleum & Oil Testing Equipments ?